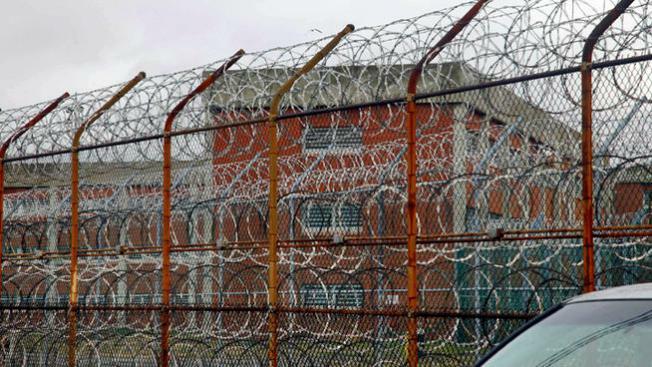 New York is expanding its efforts to make sure inmates who receive mental health treatment in prison aren't cut off from such care when they are released. Discharge planning that included medication, enrollment in Medicaid and initial clinic appointments had only extended to the 3,500 to 4000 inmates with a serious mental illness or who were getting treatment at the time of their release. A new law that took effect last month expands that to 3,000 more inmates discharged annually who got treatment sometime in the previous three years. Sponsors of the measure said patients stabilized in prison shouldn't backslide for lack of psychiatric care. They cited the case of a mentally ill ex-inmate who stabbed two children in a Brooklyn elevator last year, killing a 6-year-old, only nine days after leaving state prison without medications or contact with a service provider. The law also clarifies that parole officers can petition for psychiatric hospital commitments for parolees they consider dangerously unstable and needing to be held in a secure facility. It's another alternative besides a return to prison, said Assemblyman Daniel O'Donnell, lead sponsor. Corrections officials declined to say this week whether they've done that since the law changed. Discharged inmates deemed seriously mentally ill are provided with a case manager, two-week supply of psychiatric medications and refill prescription and are enrolled for a grant to cover the medication cost while their Medicaid application is pending, said state Office of Mental Health spokesman Ben Rosen. For clinic appointments, OMH works with providers around New York and state psychiatric center community-based clinics to arrange an initial visit, he said. More than 9,000 of New York prisons' 53,000 inmates are currently getting OMH services, Rosen said. The Cuomo administration has proposed adding $22 million for the new assessments and services in the coming year. In the Brooklyn case, police arrested Daniel St. Hubert in the June 1 stabbings. He has pleaded not guilty to murder, attempted murder, assault and weapon possession. He had been released on probation May 23 after five years in jail and state prison for attempted murder and assault against his mother. OMH and corrections spokesmen declined to discuss the 28-year-old's psychiatric issues and treatment, citing patient privacy laws. The New York Daily News reported that he had been diagnosed as paranoid schizophrenic and three times found temporarily mentally unfit for trial and sent to a state psychiatric facility before he eventually pleaded guilty. O'Donnell said he's drafting legislation to enroll all released prisoners in Medicaid so they can get drugs for chronic conditions such as diabetes without waiting. Citing concerns OMH has been reclassifying serious psychiatric issues among inmates as personality disorders, as well as making fewer admissions to the Central New York Psychiatric Center for hospitalizations, he's also proposing legislation to prevent OMH from downgrading diagnoses inmates had on the outside. According to OMH, prisoners designated with a serious mental illness are not removed from the caseload regardless of treatment progress. The office can seek court orders for drugs and psychiatric therapy for inmates who object to it, and both can be parole requirements.